'Bout time we had some banging techno around here and it don't get much better than this. Originally I was only going to play the Shitmat side of this extraordinary seven inch but on reflection your life will be much improved through exposure to the Ladyscraper track as well. 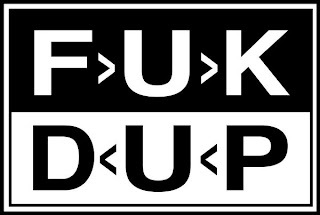 Both of these tracks come from the first release on the Fukdup label (FKDP001) and if all their stuff is gonna be like this then I can't wait for FKDP002. Fabulous! You should also check out the YACHT / Lucky Dragons record that slices and dices Nirvana songs to create "new works".